Anne Van Arsdall and Timothy Graham (eds. 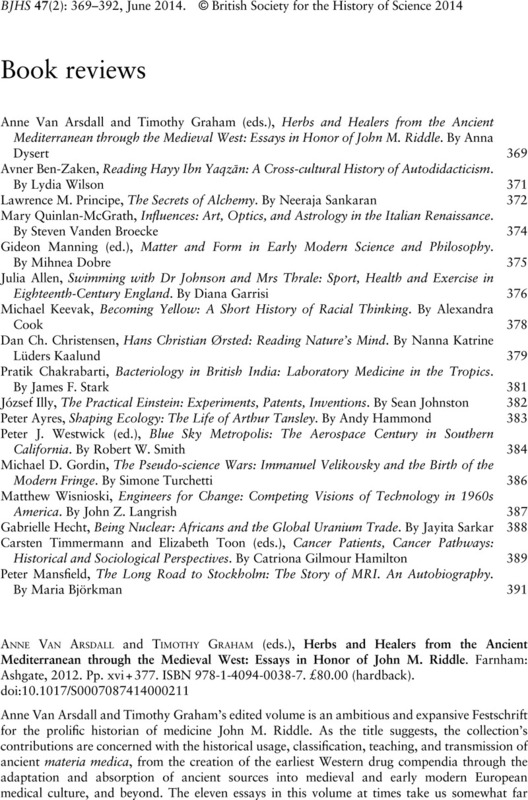 ), Herbs and Healers from the Ancient Mediterranean through the Medieval West: Essays in Honor of John M. Riddle. Farnham: Ashgate, 2012. Pp. xvi+377. ISBN 978-1-4094-0038-7. £80.00 (hardback).